I’m not an expert on Spiritual Disciplines and have to admit that I don’t practice many of them for very long, though I have periods in my life when I go to some of them for spiritual growth, renewal or to get through difficult seasons of life. However, this is the second post in as many weeks when I have dared to explore them further. In my first post, I took a brief look at Richard Foster’s book, Celebration of Discipline, comparing it to what Scripture says about each of the disciplines Foster recommends. 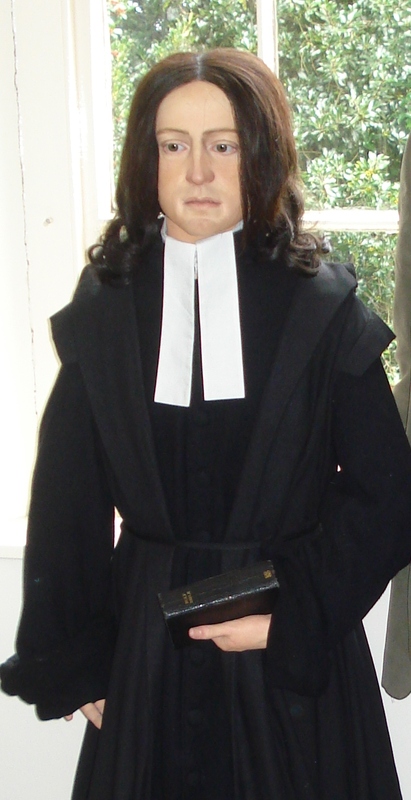 Wax statue of John Wesley located at the Old Rectory in Epworth, England, where Wesley lived as a child while his father (Samuel) pastored there. As with my previous post about Celebration of Discipline, time and space prevent an exhaustive examination of this topic, but hopefully a brief survey will bring some understanding to the use of Spiritual Disciplines in the life of the believer seeking to grow in their relationship with God and become more Christlike. It is important to remember, however, that practicing the disciplines (or any rite or sacrament for that matter) isn’t what makes us holy, spiritual or Christlike, but rather are means to becoming so. In other words, Spiritual Disciplines aren’t the ends in themselves but are means to the end. When you consider Spiritual Disciplines or their practical result, Spiritual Formation, “think of apostle Paul who said that those who gaze upon Christ ‘are being changed into his likeness’ (2 Corinthians 3:18, RSV) [and … Paul[‘s prayer] that ‘Christ be formed in you’ (Galatians 4:19, RSV).” (2) Remember, it is God who does the work in us, the disciplines just help us to submit to him so that he can. First, all works of piety; such as public prayer, family prayer, and praying in our closet; receiving the supper of the Lord; searching the Scriptures, by hearing, reading, meditating; and using such a measure of fasting or abstinence as our bodily health allows. As big as Wesley was on writing out rules of piety, he didn’t in the case of meditation but did refer to Richard Baxter’s method of meditation, the steps of which were: “information, examination, dehortation (warn, admonish, urge), consolation, and exhortation.” (2). 6. Worship. In “The Scripture Way of Salvation” which has shown Wesley’s support of these first six Spiritual Disciplines, Wesley urges public prayer and receiving the Lord’s Supper-both elements of worship. In other places he requires weekly observance of the Lord’s Supper. Both John and Charles Wesley focused on worship as an opportunity for spiritual growth of believers. The hundreds of hymns they wrote show the emphasis they put on worship -and correct theology in hymnody; and Wesley’s instructions and liturgies for worship seek to ensure meaningful and spirit-filled worship services. ‘We have had our’ whole ‘conversation,’ in such a world, ‘in simplicity and godly sincerity.’ First, in simplicity: This is what our Lord recommends, under the name of a ‘single eye.’ ‘The light of the body,’ saith he, ‘is the eye. If therefore thine eye be single, the whole body shall be full of light.’ The meaning whereof is this: What the eye is to the body, that the intention is to all the words and actions: If therefore this eye of thy soul be single, all thy actions and conversation shall be “full of light,” of the light of heaven, of love, and peace, and joy in the Holy Ghost. His other writings, especially with his desire to grow in grace and seek full salvation or entire sanctification, suggest living a life which applies this prayer of submission daily. 10. Confession. 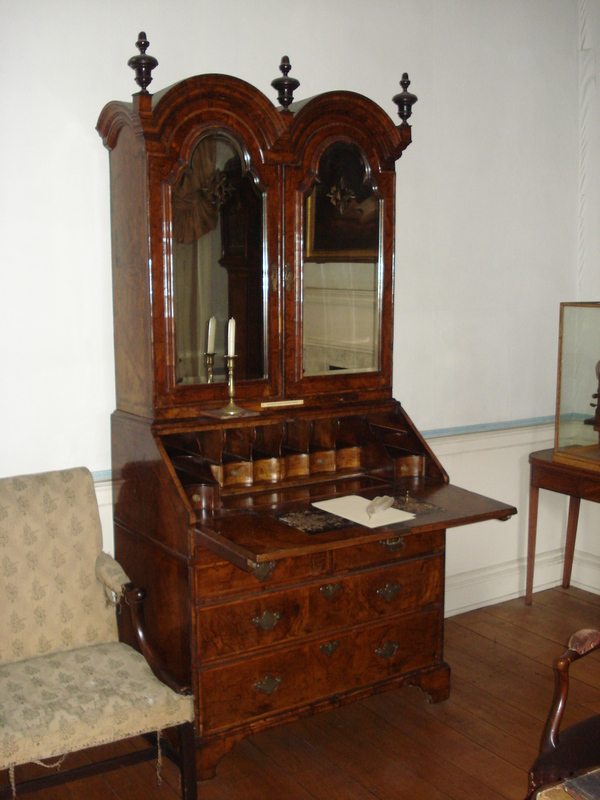 One of the keys to Wesley’s success with the Methodist movement was the “Class Meeting,” “Societies,” “Bands” or in today’s lingo, “accountability groups” that each Methodist was encouraged to be a member of. In his “Rules for the Bands-Societies” Wesley states, “The design of our meeting is, to obey the command of God, ‘Confess your faults one to another, and pray one for another, that ye may be healed'” with the expressed task ” To speak each of us in order, freely and plainly, the true state of our souls, with the faults we have committed in thought, word, or deed, and the temptations we have felt, since our last meeting.”(12) Wesley also include confession in the Covenant Service liturgy discussed under submission. 1. To be at church and at the Lord’s table every week and at every public meeting of the Bands. 2. To attend the ministry of the word every morning, unless distance, business, or sickness prevent. 3. To use private prayer every day; and family prayer, if you are head of a family. 4. To read the Scriptures and meditate therein, at every vacant hour. All of these things are to enable the practitioner to hear God’s voice, to find his will and be led by his guidance. 12. Celebration. Foster’s discipline of celebration is a difficult one to find specifically in Wesley’s writings. Certainly the passing of time and shifting of word usage and definitions add to this difficulty. I believe, however, that the spirit of Wesley’s work indicates a celebration in the disciplines we practice as a means to a mature spiritual life. I believe he would find in our celebration of the Table the discipline of celebration. As also in our corporate and personal worship. In fact, I think Wesley would see a celebration -or rejoicing- in every practice, every Spiritual Discipline, which exercises our faith and ushers us nearer to Christlikeness. While unable to cite every reference of Wesley’s to the Spiritual Disciplines we have considered, enough has been found to show Wesley’s apparent dependence on the disciplines for his own spiritual well-being. We have also seen how Wesley strongly urged -even required in some cases- the practice of Spiritual Disciplines to demonstrate the believers’ faith, experience the grace of God, and grow in grace into full sanctification. We have seen that the Spiritual Disciplines are not new inventions with ulterior motives, but are biblical exercises taught and practiced by the Church through the ages and reemphasized by Wesley for his day, just as Foster, Willard and others have raised them up again for our day. One should want to do everything they can to seek and find all that God has made available to them. Every effort to bring our bodies, minds and spirits under the full submission of God is worth that effort. The Spiritual Disciplines are tools given to us by God through his servants for this very purpose. The wise Christian will practice them fervently while experiencing new depths of spiritual insight and new heights of spiritual growth. (2) Tracy, Wesley D. “Embrace Your Heritage: Spiritual Formation in the Wesleyan Tradition, Article for Unit 2.” (https://www.nph.com/vcmedia/2419/2419619.pdf ; accessed 2 Feb 15). (6) Wesley, John. The Works of John Wesley, 3rd ed. Vol VI. Kansas City, MO: Beacon Hill Press of Kansas City, 1986, 51. (7) ———-. The Works of John Wesley, 3rd ed. Vol V. Kansas City, MO: Beacon Hill Press of Kansas City, 1986, 138-139. (9) Wesley, John. The Works of John Wesley, 3rd ed. Vol V. Kansas City, MO: Beacon Hill Press of Kansas City, 1986, 297. (10) ———-. The Works of John Wesley, 3rd ed. Vol VII. Kansas City, MO: Beacon Hill Press of Kansas City, 1986, 114-115. (11) Bible, Ken, compiler. Wesley Hymns. Kansas City, MO: Lillenas Publishing Company, 1982, A7 – A10. (12) Wesley, John. 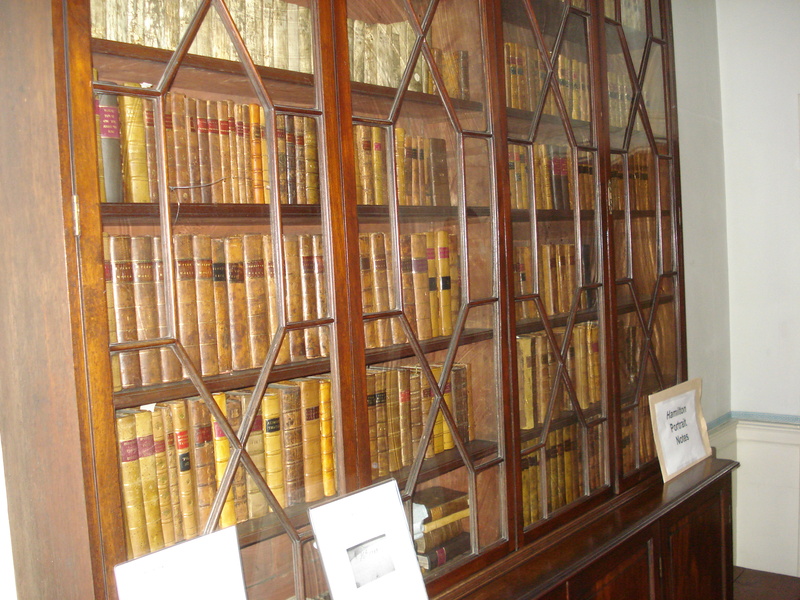 The Works of John Wesley, 3rd ed. Vol VIII. Kansas City, MO; Beacon Hill Press of Kansas City, 1986, 272. (13) Foster, Richard J., Richard Foster’s Study Guide for Celebration of Discipline. San Francisco: Harper & Row Publishers, 1978, 68. (14) Tracey, Wesley D. “John Wesley, Spiritual Director: Spiritual Guidance in Wesley’s Letters,” Wesleyan Theological Journal, Vol 23, No. 1 & 2, Spring-Fall, 1988, 148-162. 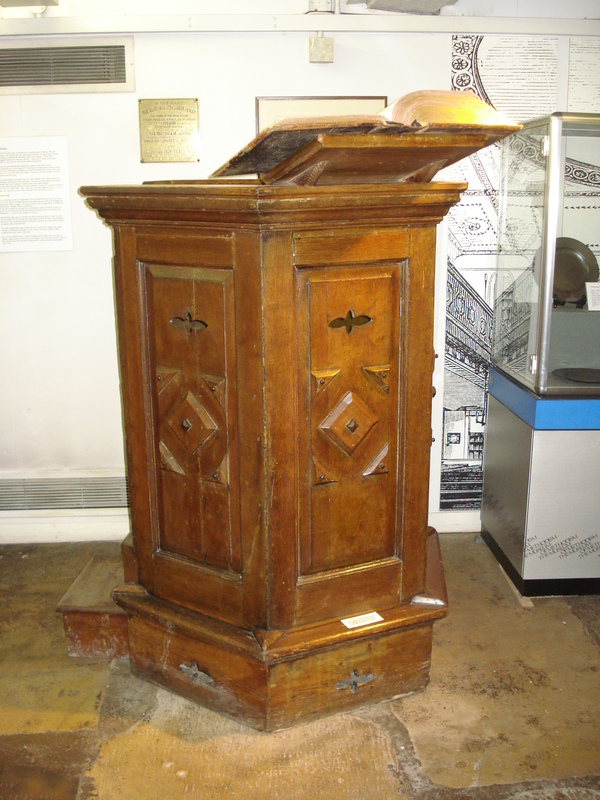 (15) Traditions of Spiritual Guidance, “John Wesley and the Methodist System.” Oxford, England: The Way, nd, 69-79. (http://www.theway.org.uk/Back/31Wakefield.pdf ; accessed 2 Feb 15). Foster, Richard J. Celebration of Discipline. San Fransisco: HarperSanFransisco, 2002. Photo credits: All photographs taken by the author.